At Labelexpo Americas in Chicago, AVT will showcase new solutions for streamlining quality process workflows, which stem from integration with sister company offerings within the Danaher Product Identification Platform (PID). At Booth #5202, AVT also will feature the North America premiere of two of its newest 100 per cent inspection solutions, as well as a host of other systems for digital press inspection & control, inspection for labels & packaging web applications and next-generation automation. 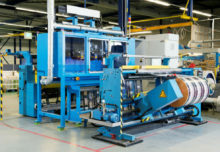 Esko’s Automation Engine connects to AVT’s 100 per cent inspection platforms (AutoSet), linking pre-press to inspection with close to zero setup time or operator intervention. The result is greater production time per press, higher accuracy and fewer rejections. X-Rite’s ColorCert links to AVT’s SpectraLab for inline colour measurement, generating colour scorecard reports based on SpectraLab measurements and offering increased time savings, system accuracy and visibility. 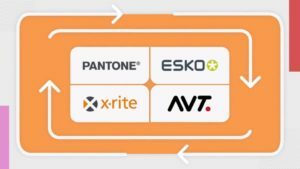 Esko’s Web Centre also connects to X-Rite’s ColorCert, automatically populating colour-related specification fields for job creation, saving valuable time and resources as well as increasing overall system accuracy. 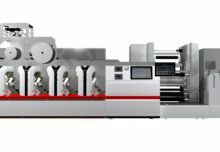 Also at LabelExpo Americas, AVT will offer North American debuts for two new 100 per cent inspection solutions: Helios S Turbo+ and Helios Turbo HD+, the world’s most advanced inspection systems for label and narrow web applications. Each offers unsurpassed high-resolution capabilities even at top speeds, with 100% inspection performed at full press and rewinder speeds without sacrificing superb inspection quality and barcode verification. AVT also will showcase its Helios D, a high-end 100 per cent print inspection solution designed to meet the specific needs of digital printing in the label and narrow web markets. Helios D supports various digital printing technologies at all stages of production workflow, including the identification of specific defects like missing nozzles, ink dripping spots, and color changes as soon as they occur. 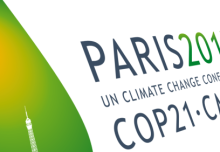 The result is reduced waste, enhanced production and comprehensive process monitoring. For digital inkjet press vendors, AVT offers Jet-IQ, a closed loop quality engine that works in synergy with press controllers to maintain exemplary print quality, offering full connectivity to all steps and solutions of digital inkjet printing. The solution allows digital printers to gain a competitive advantage through enhanced print quality at high speeds, reduced press down time, and full reporting capabilities. AVT’s workflow solutions complement its inspection systems through a full range of capabilities. Offline Setup enables customers to perform setup offline based on the job’s PDF; this is essential as run lengths become shorter and shorter, and customers must handle changeovers as quickly as possible. For AVT, another highlight will be its iCentre platform, a cloud-based solution that empowers printers to manage and control quality and production standards for facilities around the world – ensuring global consistency. Quality standards need only be set once per industry, product type and brand owner; iCentre then automatically applies the correct job-specific quality standards. The advanced Industry 4.0 solution allows printers to tightly control cross-site quality standards, auto-analyse PDF files for inspection, and access business intelligence from production floors with seamless connectivity to MIS and prepress systems for optimised, automated workflows.